Home design and fashion design both offer an inspiring balance of colors and harmony. I love the idea of turning an outfit into a room! Here are a few links that showcase how this works. Any space - big or small - will benefit from this fun idea! I am inspired by the diamond shaker posted on my sidebar as Inspiring Pic of the Moment. Now that would be a pretty room! Domino Magazine's Can This Outfit Be Turned Into A Room? TODAY Show segment - How To Turn Your Favorite Outfit Into A Room? 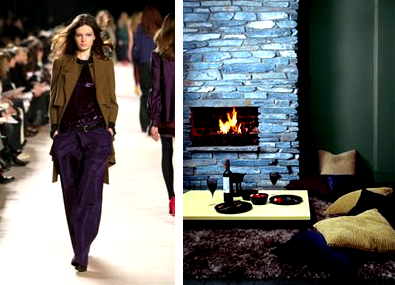 2 Responses to "CLOTHES OFFER COLOR INSPIRATION: Turning an outfit into a room"